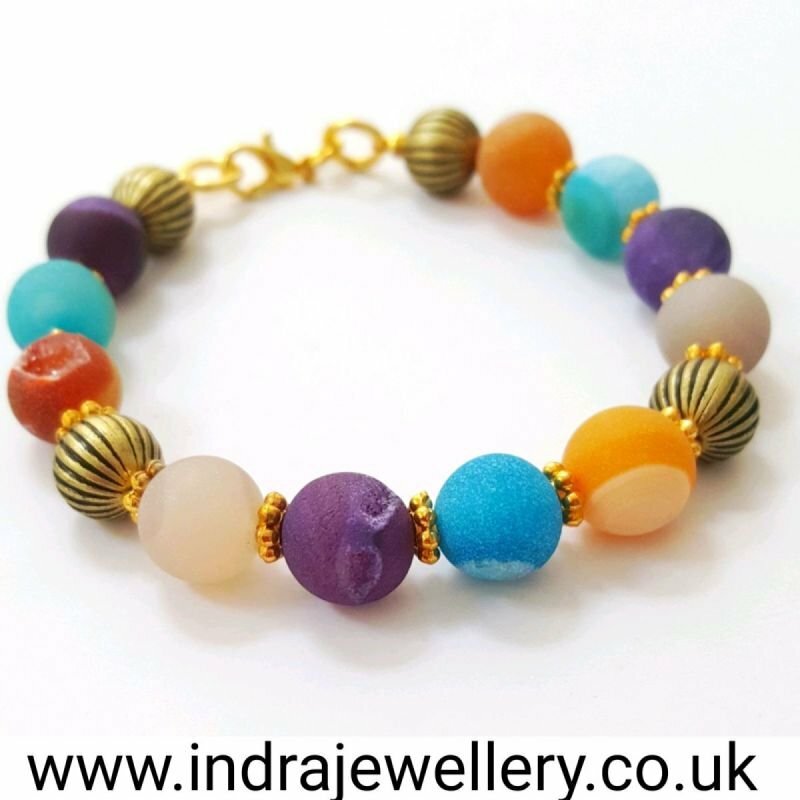 This is a really pretty little bracelet, it is made with a mix of natural druzy beads between gold toned spacer beads. These druzy beads are so pretty, because of their raw state, some of them have bands of colour and others have little alcoves which expose the sparkly quartz inside! this makes a perfect little gift which is affordable, pretty and unusual. The bracelet measures 7.5" an extender chain can be fitted on request.